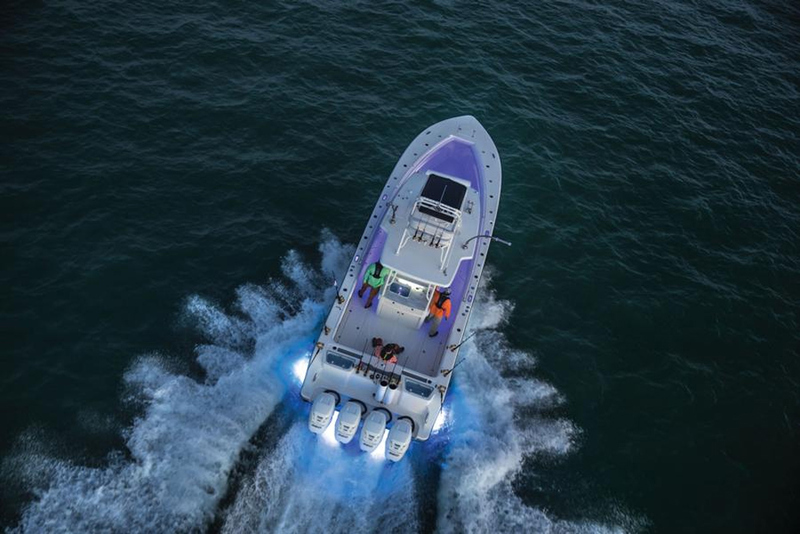 You’re looking for a fishing boat? We’ll do our best to help you find the right one. 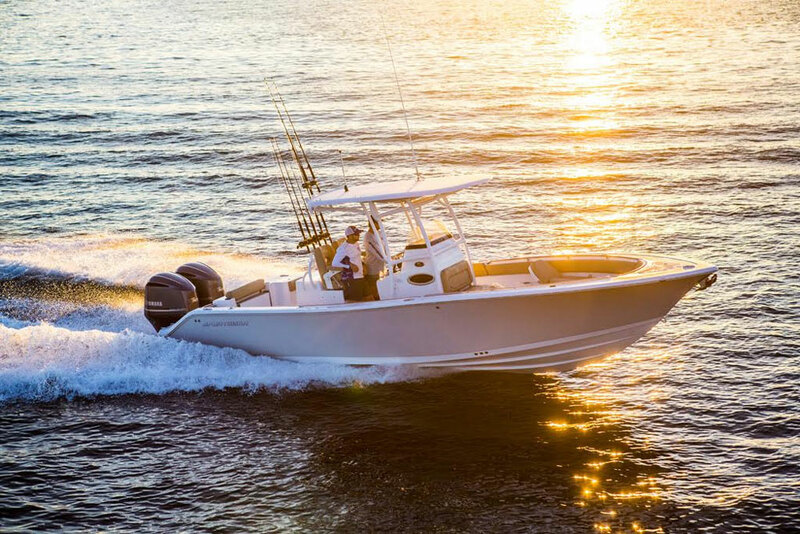 For more information about aluminum as a boatbuilding material, read Aluminum Fishing Boats: Light, Economical, and Seaworthy. And for an interesting take on welded aluminum boats versus riveted construction, read Lund Vs Crestliner. Whichever material they’re made from, fishing boats do, of course, vary quite a bit from one to another. In their most basic forms, we can divide them into two categories: those used for fishing in freshwater ponds, lakes, and rivers, and those used for fishing in saltwater bays and oceans. 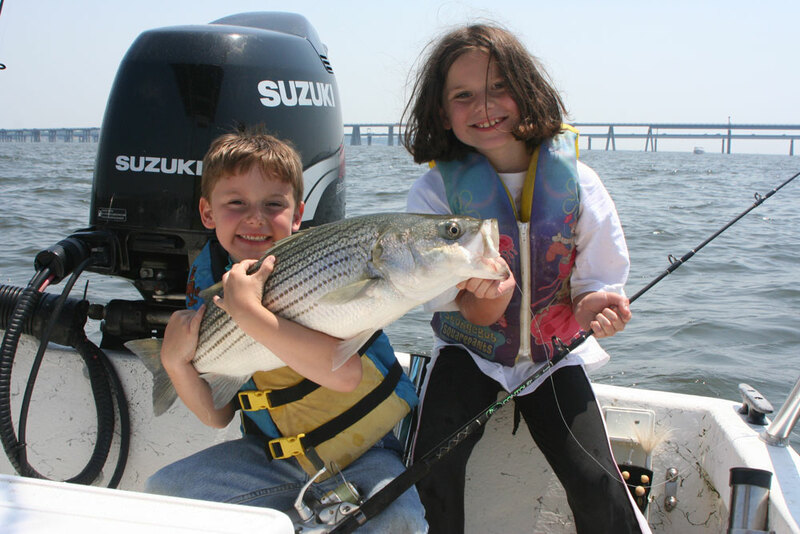 While these three construction materials are used for both categories of fishing boats, as a general rule of thumb, plastic is used for the smallest boats (commonly up to 12'), aluminum is used for small and medium-sized boats (up into the mid-20-foot size range) and fiberglass is used for medium sized and larger boats (16' and larger, with no limit). 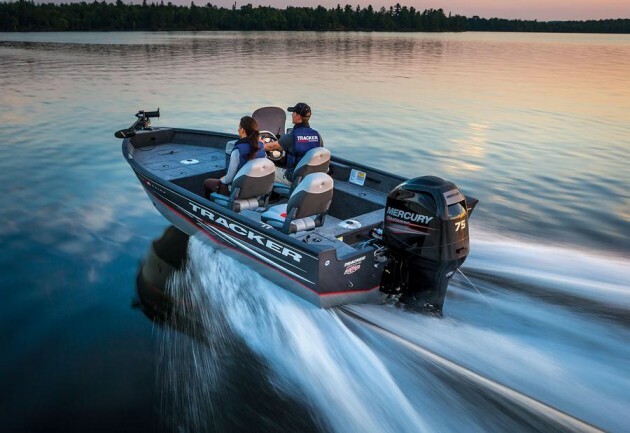 Still, there are plenty of differences between freshwater and saltwater fishing boats. 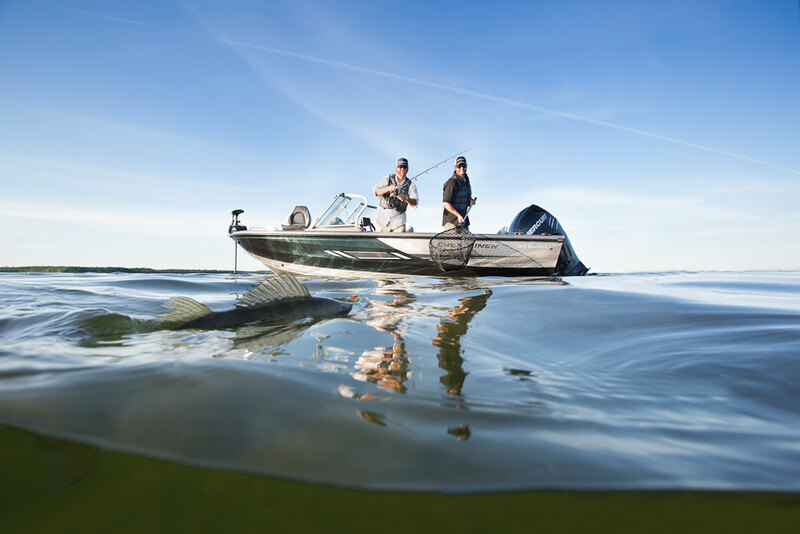 Freshwater fishing boats can range in size from the 10-foot-long dinghies used on small ponds, all the way up to big 30-foot-plus cabin boats used on big waters like the Great Lakes. They also range in how specialized they are. And for many boaters, this is where things can get confusing. 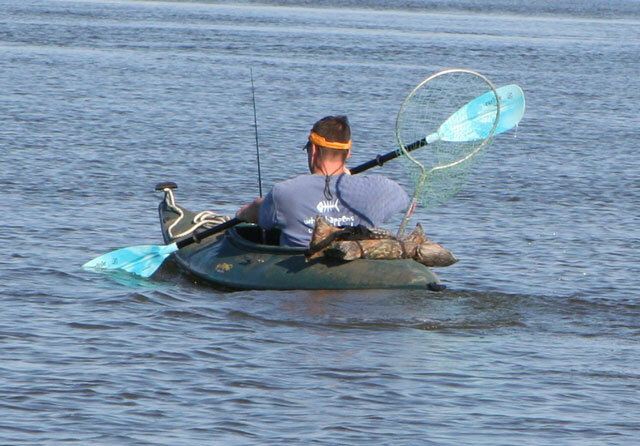 Sure, there are some designs that are merely intended for general fishing use. The best examples of these are jon boats. 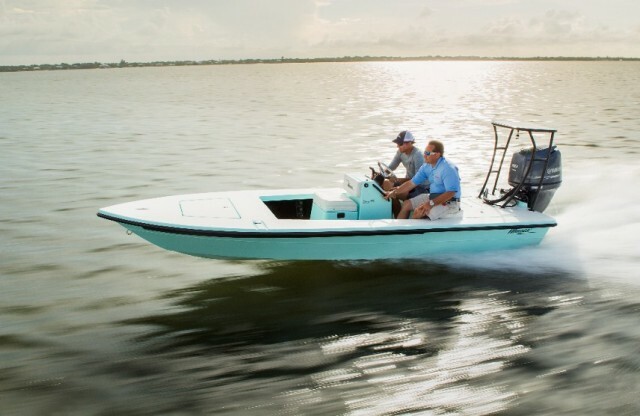 Jon boats are, in their most basic form, hulls with bench seats and an outboard motor on the back. 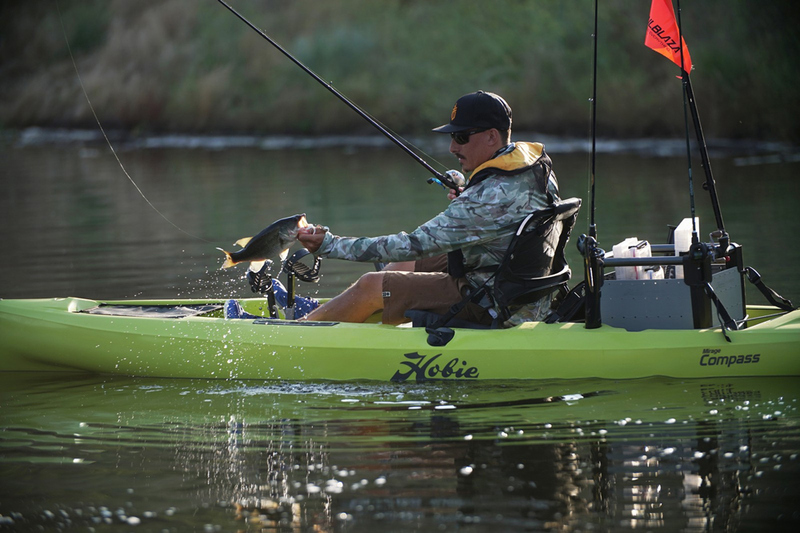 This simplicity makes them some of the most affordable boats around—check out some listings for jon boats and you might be shocked at just how inexpensive they can be. 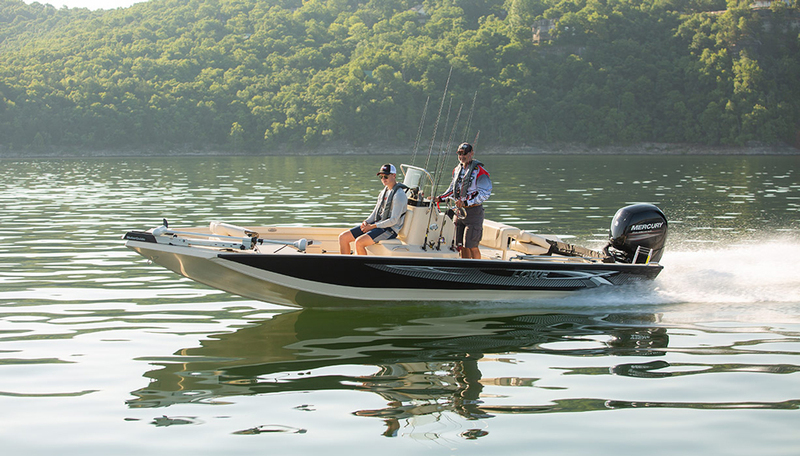 Pontoon boats are another good example of all-around freshwater fishing boats. 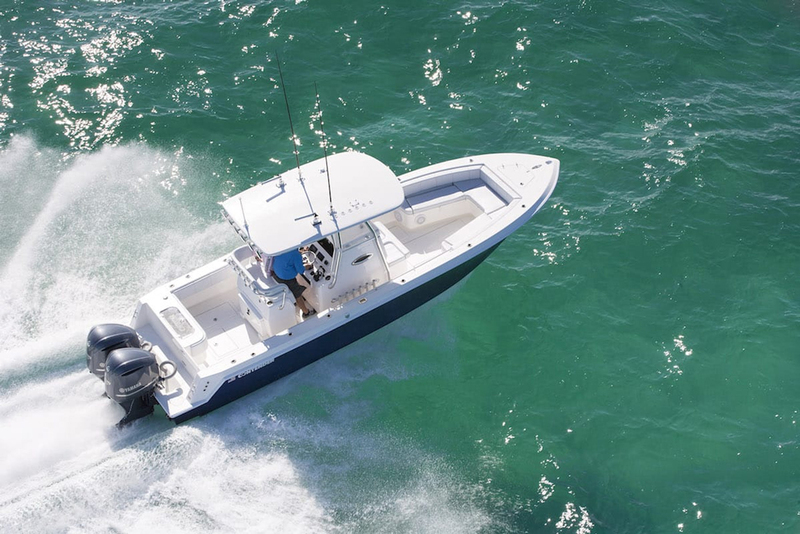 They’re commonly designed for multiple activities ranging from fishing to water skiing, yet their large decks and open lay-outs mean they can be used for a wide range of forms of fishing. 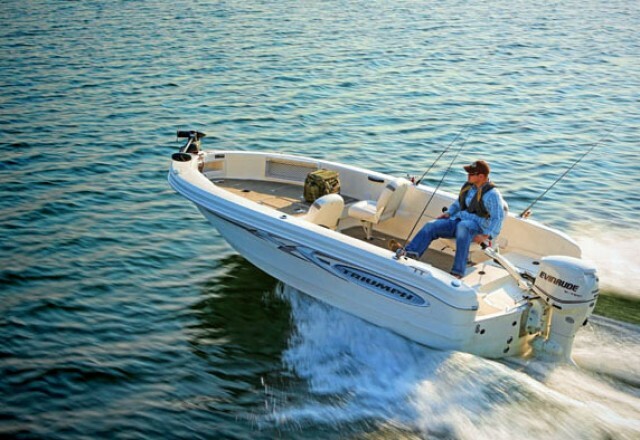 And yes, you can find pontoon boats that have been specialized to be fishing platforms; we tell you about them in Can a Pontoon Boat Be a Serious Fishing Boat? 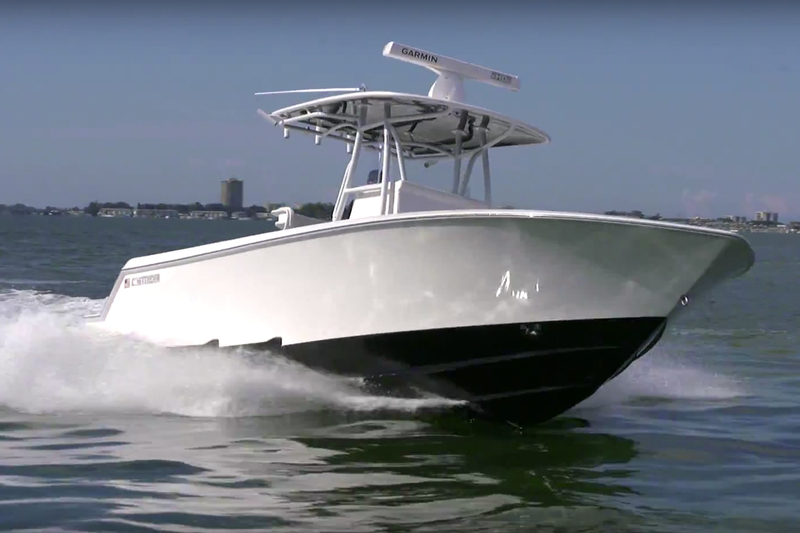 Many saltwater boats, like this Maverick HPX-V II "technical poling skiff ," are highly specialized for specific fisheries. 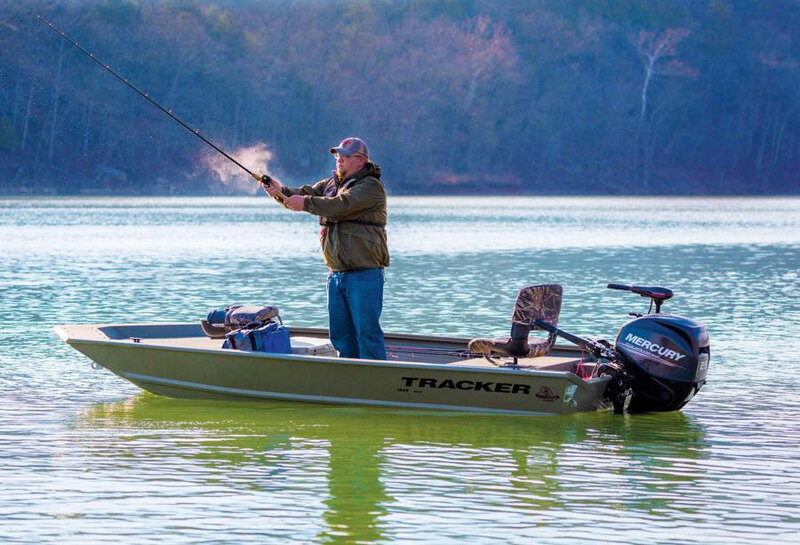 Abrupt changes in weather can turn glassy-calm water rough in the blink of an eye, so a big part of knowing how capable your fishing boat is depends on your own judgment. Essentially, it all boils down to judgment calls. 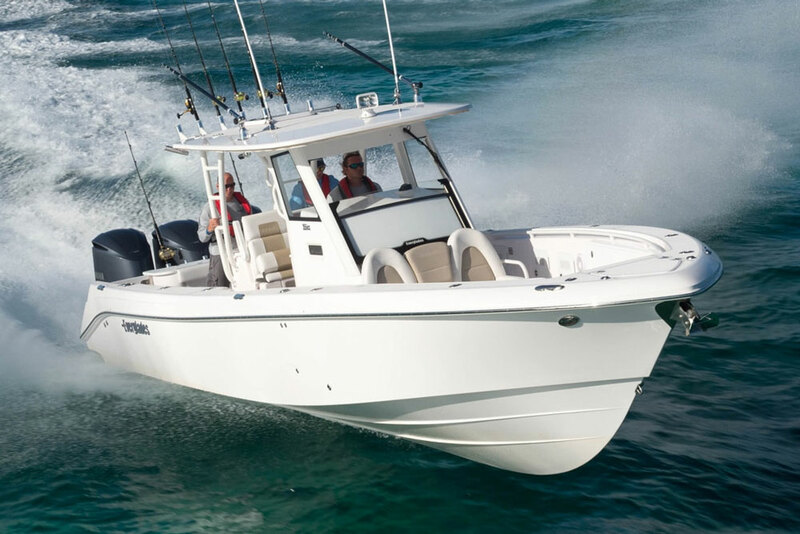 It’s best to own a boat for a while and learn its capabilities, before pushing to larger waters and tougher conditions. 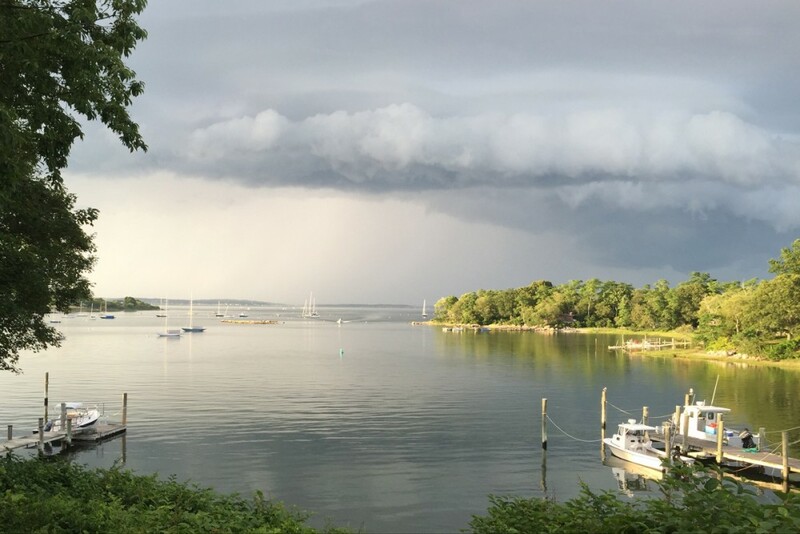 New boaters and old salts alike will benefit by looking through our Seamanship section, which has hundreds of articles and videos that are designed to help us all become better boaters. Editor's Note: This article was originally published in January 2016 and updated in November 2018.